Manual scrubbing is tiring and exhaustive work, especially in confined and hard to reach areas, never producing the results you want or more importantly need. Short deadlines are also commonplace in the cleaning industry meaning you need results fast. 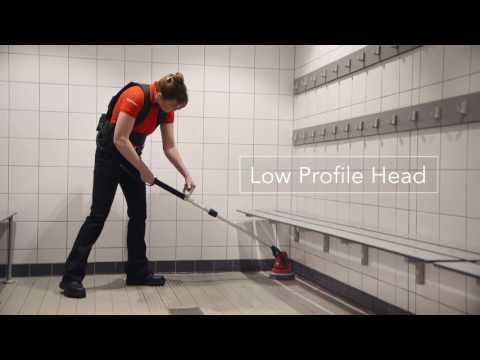 Introducing MS2000 the specialist battery operated deep scrubbing machine perfect for bathrooms, shower areas, around toilets, swimming pools, stairs, walls, base/skirting boards. It's also ideal for polishing marble, mirrors and stainless steel. The comfortable, all-day wear backpack, delivers high torque power to the 18cm / 7" scrubbing head releasing dirt from deep down while you simply clear away dirty residue leaving surfaces clean and fresh.